Chef/Owner Sean Reeve of The Mackenzie Room has had a deep love of cooking since a young age. This passion led him to an apprenticeship at Via Allegro under the ever watchful eyes of Lino Collevecchio at the age of 19. His time at Via Allegro led him to the acclaimed school of ALMA in Colorno, Italy where he honed his regional Italian techniques. From there Sean spent a year in the kitchen of Pino Posteraro at Ciopinno’s in Vancouver BC, before returning to Toronto to become the Chef of Briscola Trattoria at the age of 25. 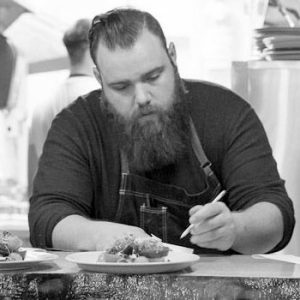 From Briscola, Sean went on to be the Executive Sous Chef for James Olberg at La Societe in Toronto’s Yorkville before moving to Montreal to be the Executive Chef of La Societe, Montreal. 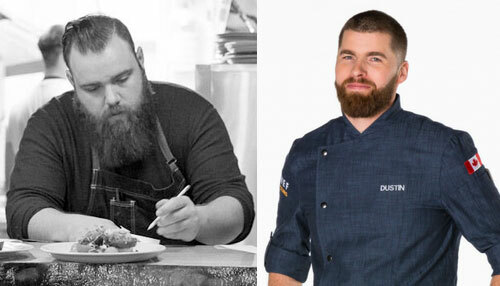 Having competed and won on Chopped Canada in the spring of 2014, Sean turned his focus to ownership and in the Summer of 2015 opened The Mackenzie Room in Vancouver, BC.